Wendy Law-Yone is the author of Golden Parasol: A Daughter’s Memoir of Burma (Chatto & Windus 2013), The Road to Wanting (Chatto & Windus 2011), Irrawaddy Tango (Knopf 1983), and The Coffin Tree (Knopf 1994). Her short stories have appeared in international anthologies and literary periodicals, and her book reviews and articles in The Guardian, The Times Literary Supplement, The Washington Post, Time Magazine, Atlantic Monthly, and Architectural Digest. Wendy’s novels have been on the curriculum of literature, history and Asian Studies courses in universities throughout Europe and the United States. Irrawaddy Tango was nominated for the 1994 Irish Times International Fiction Prize. 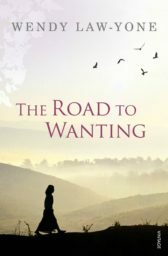 The Road to Wanting was longlisted for the 2011 Orange Prize. 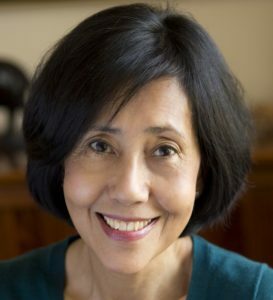 International awards for her writing include a National Endowment for the Arts Literature Award for Creative Writing, a Harvard Foundation Award for International Literary Arts and Intercultural Relations, and a David T.K. Wong Creative Writing Fellowship from the University of East Anglia. 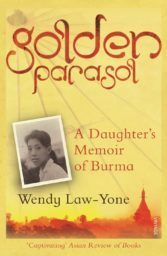 Banned in Burma for more than two decades, the first of Wendy’s books to be translated into Burmese – her recent memoir, Golden Parasol – was an instant bestseller in Burma. Wendy was born in Mandalay, and grew up in Rangoon. Her father, E.M. Law-Yone, was founder and publisher of The Nation, the leading English language daily in post-war Burma. A political prisoner under the military dictatorship of General Ne Win, Law-Yone spent the last years of his life in exile, first as a revolutionary in Thailand, then as occasional lecturer and columnist in the United States. After leaving Burma at the age of 20, Wendy spent several years in Southeast Asia. Moving to the United States in the mid-1970’s, she studied Comparative Literature and Modern Languages at Eckerd College in St. Petersburg, Florida, then won a Carnegie Endowment fellowship in Washington, DC, where she settled for the next three decades. Now a permanent resident of the UK, Wendy lives in central London and East Sussex.